The TruCheck Omni has an extra large field of view (up to 6 inches wide) and super high resolution. You can select multiple regions within your image so you can verify every barcode on a blister card, or several barcodes on a shipping label all at once. The Omni XD offers the ability to verify codes with x-dimensions as small as 6.6mil while still using the 3mp camera. 80 mm x 60 mm field of view. 6.6mil min x-dimension. 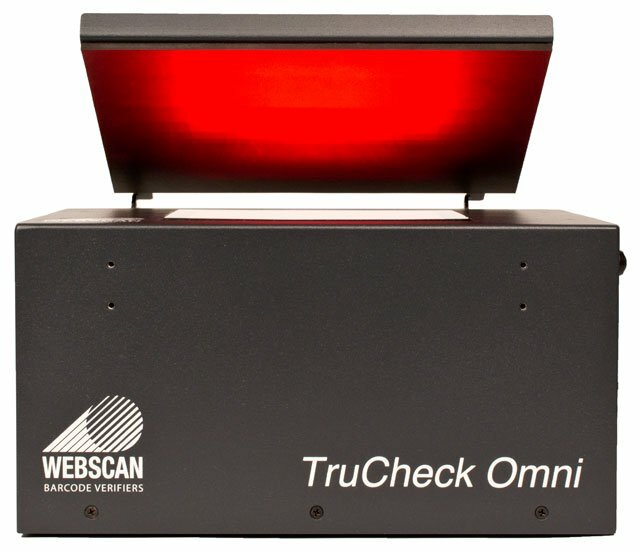 The XL version of the TruCheck Omni view is 150 mm x 112 mm and will verify codes with x - dimensions as small as 14mil. The Wide Angle Omni is our most popular version. Size of the field of view is 150 mm x 115 mm and has our best resolution for verifying small codes with a large field of view. This model can verify barcodes with x-dimensions as small as 7.0mil. 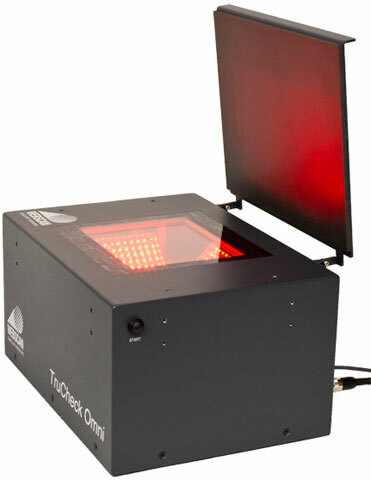 The Omni verifier models field of view is 100 mm x 75 mm and has a min x-dimension of 9.0mil. These units are capable of verifying 1D and 2D barcodes and can verify multiple codes at once. The Omni Hi-Res unit has the same camera lens combination as the Wide Angle Omni but has more capabilities to deal with smaller sized barcodes. This unit can verify 1D and 2D codes with x-dimensions as small as 6mil. 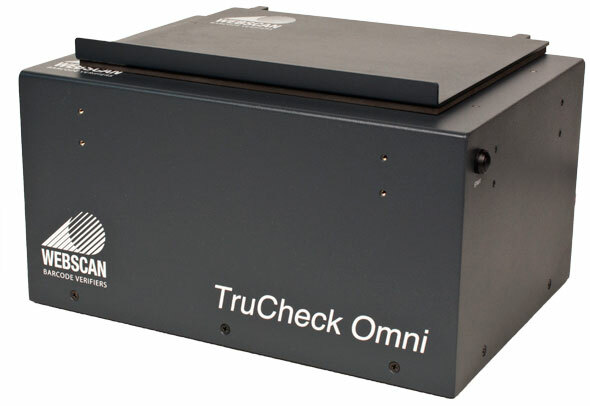 The XL version of the TruCheck Omni view is 150 mm x 112 mm and will verify codes with x - dimensions as small as 14mil. Must purchase (Part# 4744), (Part# 4899), or (Part# 5136) calibration card with this verifier. The Wide Angle Omni is our most popular version. Size of the field of view is 150 mm x 115 mm and has our best resolution for verifying small codes with a large field of view. This model can verify barcodes with x-dimensions as small as 7.0mil. Must purchase (Part# 4744), (Part# 4899), or (Part# 5136) calibration card with this verifier. The Omni verifier models field of view is 100 mm x 75 mm and has a min x-dimension of 9.0mil. These units are capable of verifying 1D and 2D barcodes and can verify multiple codes at once. Must purchase (Part# 4744), (Part# 4899), or (Part# 5136) calibration card with this verifier. The Omni Hi-Res unit has the same camera lens combination as the Wide Angle Omni but has more capabilities to deal with smaller sized barcodes. This unit can verify 1D and 2D codes with x-dimensions as small as 6mil. Must purchase (Part# 4744), (Part# 4899), or (Part# 5136) calibration card with this verifier. 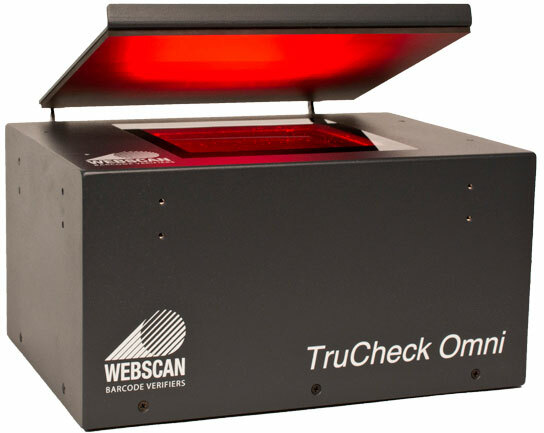 This model of the TruCheck Omni is ideal for gift cards with both 1D and 2D barcodes. Must purchase (Part# 4744), (Part# 4899), or (Part# 5136) calibration card with this verifier.